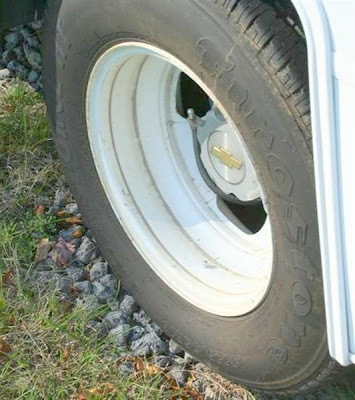 Tire failure on RV’s can be extremely dangerous and can cause extensive damage to your RV. There are lots of reasons for tire failure on RV’s, like under inflation, over inflation, overloading and the age of the tires. Today I want to discuss how the age of your RV tires, and exposure to the elements, can lead to tire failure. Tires are designed and built to be used. The rubber used in tires ages faster when they are not used, so more use results in longer tire life. The problem is lots of RV’s don’t get used that much. When tires are manufactured compounds are added to help protect the rubber from weather cracking and ozone damage. The problem is the tire needs to be rolling down the road, heating up and flexing for these compounds to work their way to the surface of the tire and protect the rubber from damage. So, when tires sit still, like in storage they start to dry out causing them to age faster. Weather cracking or checking occurs on all tires when they are exposed to heat and sunlight. This is especially true of the tires sidewall. Ozone in the air and UV rays from the sun shorten the life of your tires. It’s not uncommon to see RV tires with low mileage and plenty of tread that are ruined by the damaging effects of ozone and UV rays. Ozone in the air causes tires to dry rot and deteriorate. UV rays from the sun , and not using the RV make it happen quicker. You need to inspect your tires for weather checking or cracks in the sidewalls before each trip. Cracks less than 1/32 of an inch deep are ok, but if the cracks are more than 2/32 of an inch deep the tire should be replaced immediately. If you notice damage to the tires and you’re not sure what to do have them inspected by a professional. This faster aging and weather cracking are why tire manufacturers recommend replacing the tires on RV’s when they are 5 to 6 years old, especially if the RV isn’t used that much. So how can you tell how old the tires are? All tires manufactured in the United States have a DOT number. The DOT number may be on the inside or outside sidewall. At the end of the DOT number the last three or four digits in identify how old the tire is. Older tires used three digits. The first two identify the week of the year the tire was built and the third identifies the year. Newer tires use four digits. For example 3208 is the 32nd week of the year and 08 is the year 2008. If you question the age of your tires, especially on a used RV, and you can’t find the DOT number have them inspected by a qualified tire center. 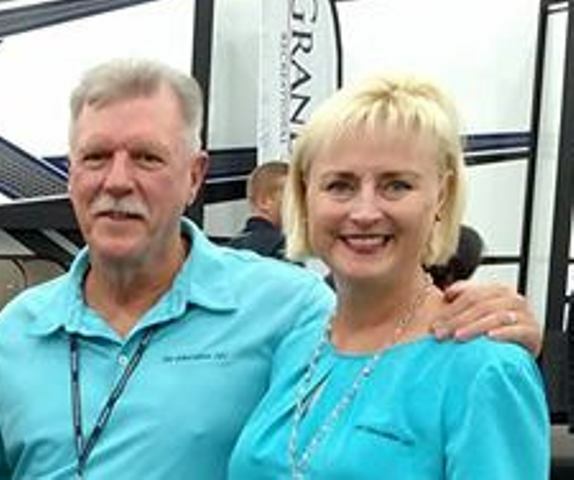 Even though there are many other factors that can affect the life of your RV tires you can see that the age of the tires is one of the most important consideration. Now that we know how age and the elements can affect the life of your RV tires what can we do to help extend the life of tires when they’re not being used? Considering where and how your RV is being stored can add life to your tires. Of course a covered, dry garage is the best scenario, but we know this isn’t always possible. The first step is to clean the tires. Clean the tires with a mild soap and water. Avoid using tire dressings. Sidewall rubber contains antioxidants and anti-ozones that are designed to work their way to the surface of the rubber to help protect it. Washing tires excessively removes these protective compounds and can age tires prematurely. The same is true of most tire dressing designed to make your tires shine. Inflate the tires to the recommended inflation pressure on the tire sidewall when in storage. Avoid storing tires on petroleum based products like asphalt and other heat absorbing surfaces, and avoid storing tires on frozen ground. If stored outside you should place some type of barrier between the tire and the ground surface. Make sure the blocking is wider than the tires tread and longer than the tires footprint. If tires are not blocked properly and the load distributed evenly the tire sidewalls can be damaged. Avoid any exposure to heat and sunlight. If the RV is stored outside cover the tires with covers that block out the sun. The RV should be stored with the least amount of weight on the tires as possible. That means it should be unloaded prior to storage. 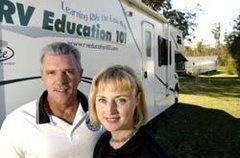 You should move the RV every few months help prevent sidewall cracking from the tire sitting in one position for too long. Following these simple tire storage tips can add life to your RV tires, but keep in mind that tire age and exposure to the elements are leading causes for tire failure. Make sure you know the age of your RV and automobile tires and always inspect your tires for signs of weather cracking before each trip.